*Attachment is not available to be rented separately. Attachment must be rented with our Bobcat S175 Loader. Designed to remove small to medium-sized rock as small as 3/4" along with unwanted roots and debris. The Landscape Rake also breaks up lumpy soil, while grading, leveling, scarifying - preparing the soil in a one-step process. 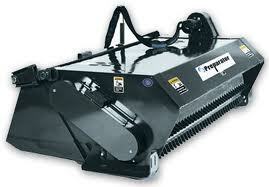 This is the perfect tool for preparing a seedbed, sodding or lawn leveling. Picks up material as small as 3/4"
* Please call us with any questions you may have about our rockpicker attachment bobcat rentals in Tacoma WA and Puyallup WA, serving the South Sound.